In redesigning the iOS Music application for iOS 8.4, Apple removed support for audiobooks from the app, electing to move it to the iBooks app. iBooks itself has gained an all-new audio player with support for swiping gestures to fast forward or rewind, view a chapter list, and more. The Collections list in iBooks now has a separate setting for audiobooks that allows you to quickly separate them from the rest of your library. After selecting an audiobook, you’ll see a new player screen that resembles that of the new Music app. There are a few key differences between the iBooks player and the Music player. A button in the upper right corner opens up a chapter list that allows you to jump to any point in the book. Settings for speed and a sleep timer are also present, and a share button allows you to send a link to your current book to your friends. The share button also works for books from sources like Audible, but doesn’t include the link, which makes it a bit useless in those cases. The skip-ahead and skip-back options that prevoiusly existed are also still here, but no have gesture controls that can optionally be used to trigger them. By swiping left or ride on the album cover at the top of the screen, you can quickly jump backwards or forwards by 15 seconds. By dragging and holding the artwork in either direction, you can accelerate the fast forward rate, eventually skipping over more than a minute at a time. 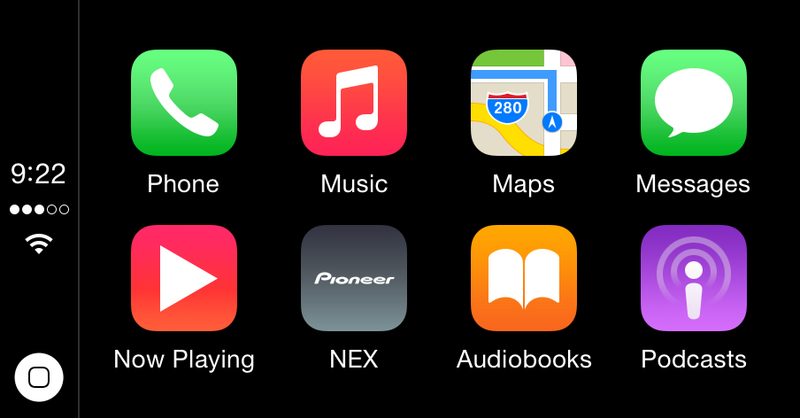 Audiobooks now also display in their own application on the iOS CarPlay interface. It features the iBooks icon on the home screen and support for typical playback controls like skipping ahead 15 seconds at a time. iOS 8.4 was released to developers in beta yesterday and will lay the groundwork for Apple’s revamped Beats Music-based streaming service, which is expected to debut at WWDC on June 8th.